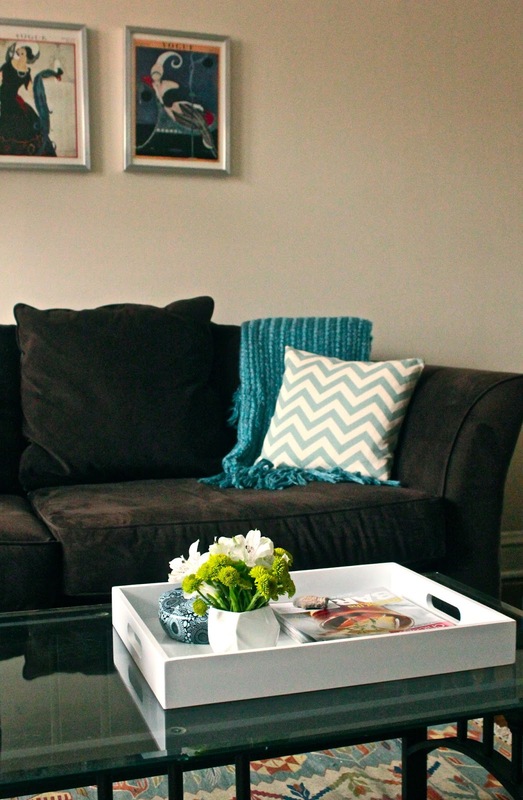 My coffee table was just missing something and it was driving me crazy. When you live in a small space, you spend a lot of time with each piece of your furniture and that means each piece needs to be just right. 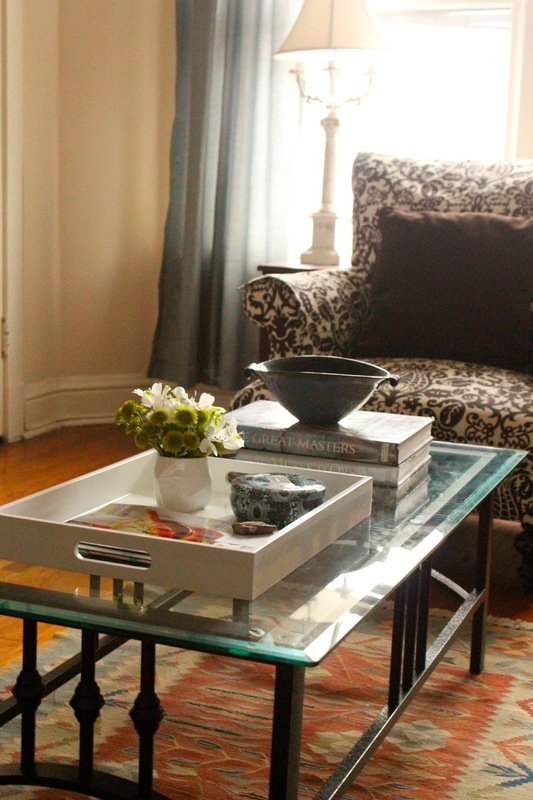 I thought I might need to replace my hand-me-down coffee table, but I liked the oil-rubbed bronze finish and the glass top. Another small space thing, the transparent top ensures it doesn't take too much visual space and it shows off the beautiful Turkish kilim I got in Istanbul. 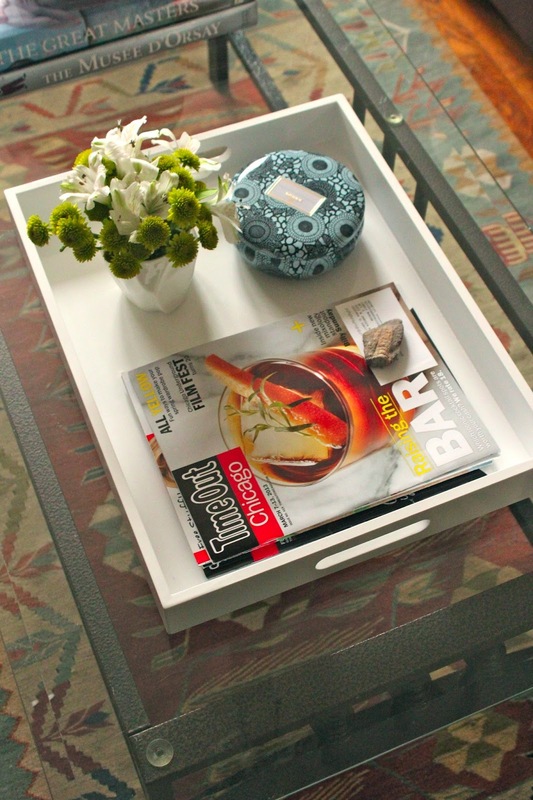 Then it came to me, I just needed a better way to organize the coffee table. A versatile white tray was just the ticket. Light, yet structured and keeps my TimeOuts, flowers and remotes under control. Fresh flowers and a fossil I found in the Sahara provide a natural element against the stark white.